Misty was my first Sheltie, who taught me so much. 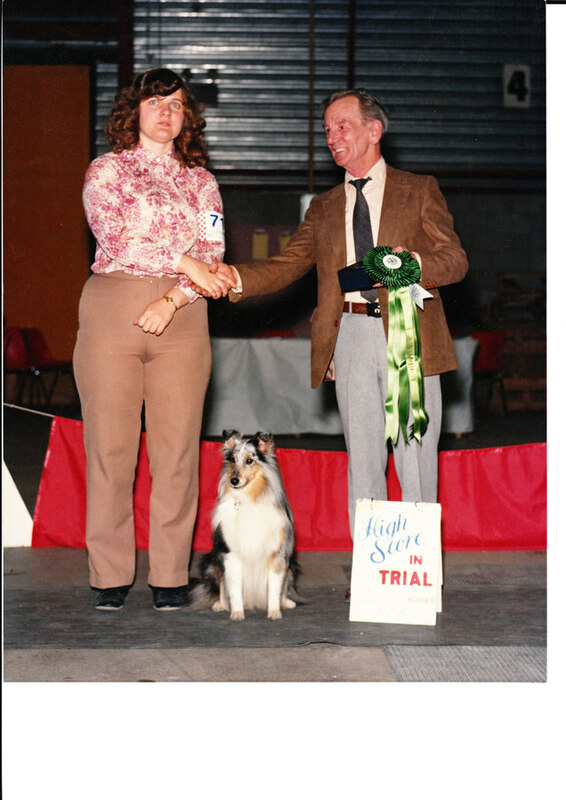 She was a multi-High in Trial winner, a champion, scent hurdle racer extraordinaire with the EKC Express (Edmonton Kennel Club), earned a TT, and was my constant companion. When we started obedience training, we rode 3 buses to get to classes once a week in Montreal, and she enjoyed every minute of every excursion we took together. Misty, you taught me so much. You sealed my fate as a Sheltie lover. Pictured above earning our first Utility leg with a High in Trial in Regina - what a thrill! Misty came to me through Hazel Slaughter of Meridian Shelties. She was bred by Cathy Laux.